I know, I know - we won't do this every time they show up. But! We caught our first sighting of the larger next-generation Pixel phone in the AOSP gerrit, codename 'muskie.' You can see one such example we fished out below. Building 12 configured target(s): aosp-master/aosp_arm64-eng aosp-master/aosp_x86-eng git_master/aosp_muskie-userdebug git_master/aosp_walleye-userdebug git_master/bullhead-userdebug_fastbuild3a_linux git_master/gce_x86_phone-userdebug_fastbuild3c_linux git_master/marlin-userdebug git_master/muskie-userdebug git_master/sailfish-userdebug git_master/sailfish-userdebug_fastbuild3_linux git_master/taimen-userdebug git_master/walleye-userdebug. 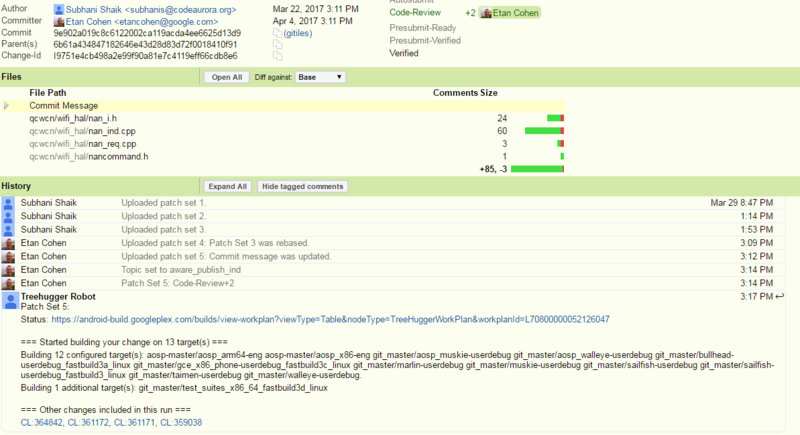 Google's automated update bot, Treehugger, is the culprit this time, as it was reporting the targets for changes. Also found in that snippet above were Walleye (the smaller Pixel) and Taimen, the latter which we know very little about at this point. We have no new details to share about the second-generation Pixels at this time, but there you go: codenames fully confirmed.